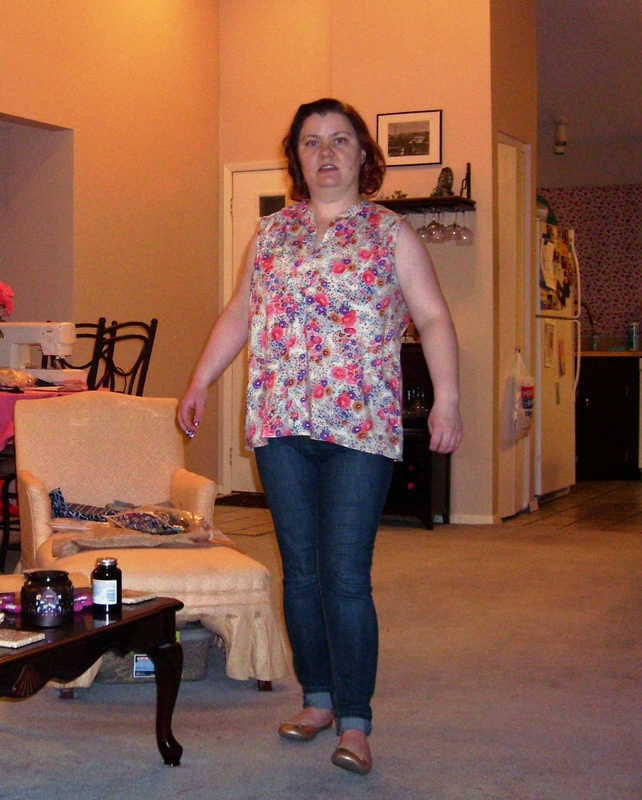 So after the Sew Small contest, I had worked on a pair of Ginger Jeans which look like a sewing fail because when I tried them on they were too tight in the waist. So instead of finishing the back pockets and button on those, I decide to cut out a top instead. 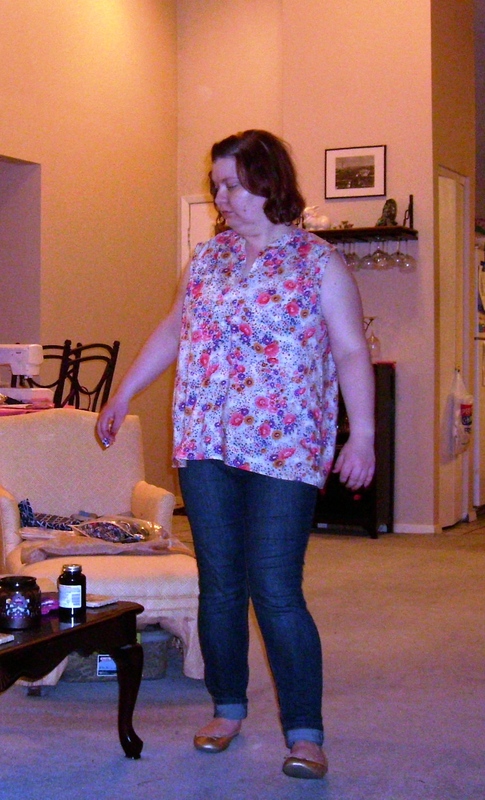 I already knew that this pattern was very, very loose-fitting. So I picked up a smaller size pattern than usual (usually I try to pick up patterns with size 16 included). I decided to use a medium as I fell in between the small and medium on the finished garment bust measurement given on the pattern envelope. 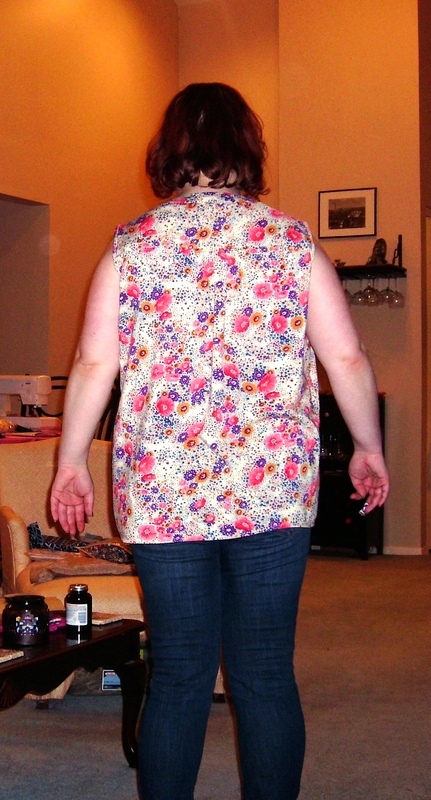 I did measure the back length (without the neckband) and it was right around 25.375 inches. For me, that there is borderline as to whether or not it is the length I like. I decided against lengthening the pattern an inch which for the medium length was the right choice for me. The top has a decent portion for the skinny jeans; it isn’t so long that you are looking like you are playing dress up and the fitted bottom the over-sized ness of it look better. 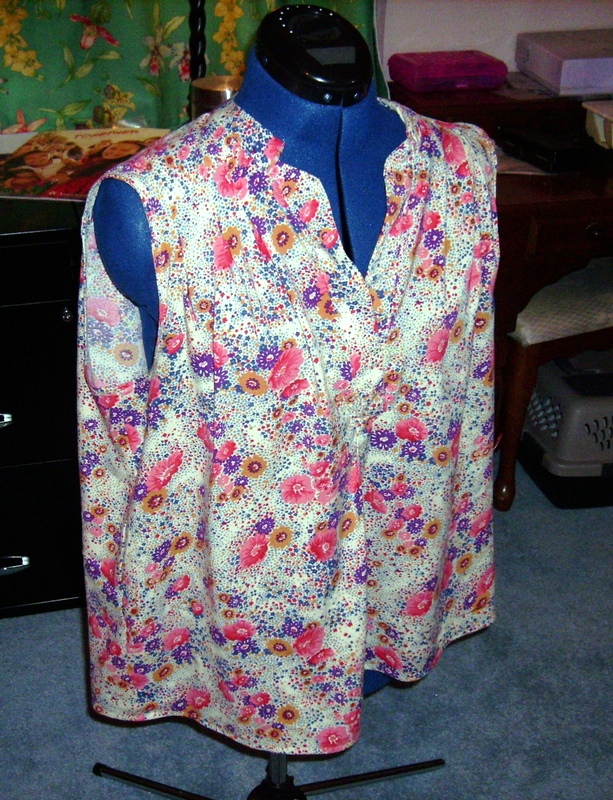 I used a rayon challis I had found off of an E-bay seller. For a rayon challis, this one has a thicker weight and is still draped well which is what is needed for this top. 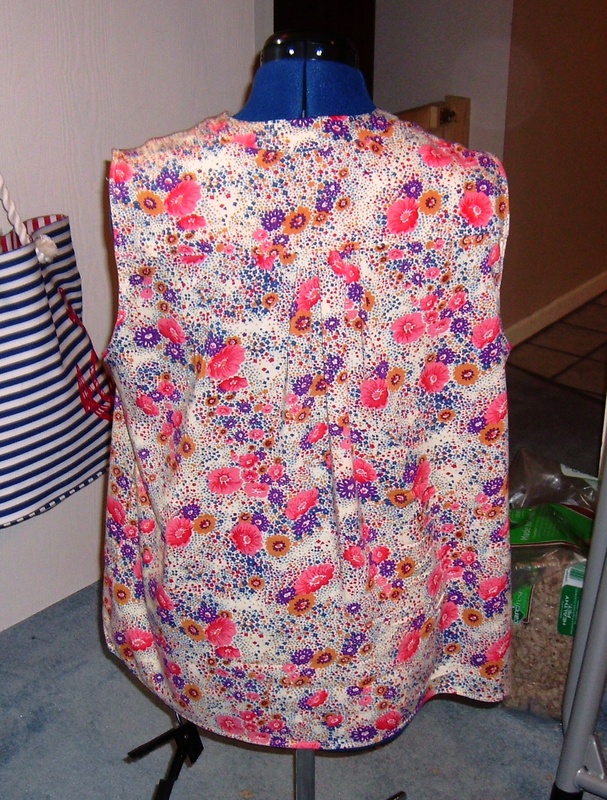 For the back yoke, I did use the Grainline’s burrito yoke method from the Alder dress (which I included the link at the bottom). I really liked how simple this was and the clean finish I got using the method. The neckline instructions are tricky to follow. I don’t think I actually did this correctly. My main problem was the squared overlap at the bottom of the placket. I didn’t see this mentioned in any of the reviews I read. But just in case it wasn’t my error, double-check the bias piece for the arm scythe. My piece was small so it caused the arm area to be too high and small. I went ahead and redid it. I like the re-do better even if I ended up with a lower arm area than intended. As for next project, I don’t think I am ready to re-try the Closet Case Files Ginger jeans again. The top project contenders look to be either a Queen Elite bra or the True Bias Sutton blouse.